When you are a woman, hair is a part of your life. Losing your hair as a woman, is a hard pill to swallow. It can be embarrassing and can leave you wanting to be a hermit in your own house. You look around and search the internet to find a way to fix yourself. Your self esteem can suffer in a major way from it as well. 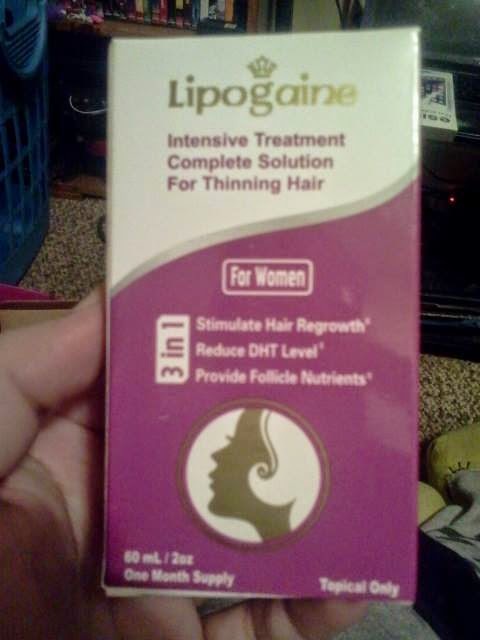 Lipogaine, is a woman's hair growth product. 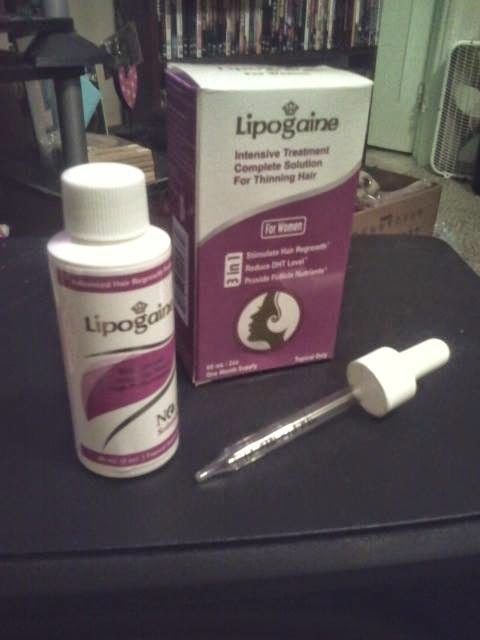 It is for thinning hair loss and for hair regrowth. It is loaded with Biotin and other vitamins to help persuade the hair to grow. It is recommended that you use it instead of your normal shampoo at least 3 times a week. It can be used up to two times a day as well. I don't have problems with hair loss or thinning, but I have a friend that does, and I gave her this product to review for me. She told me that she was really excited about the thought that she may have some hair growth. When she opened it up she said that it had a horrible smell and she was unsure about having that smell in her hair. Finally, I convinced her to use it, because hey it may help her! After using this in her hair, she said the smell went away after a little bit, but was still not the best. Since she has only been using this product for a few weeks, we haven't seen any progress yet. The hair she does have though, seems to be a bit stronger and better looking. She is still hoping that the product will work and help her to grow hair. I will come back and update this status when she is done with the bottle so I know just what the product did. You can check out lipogaine on Amazon by clicking here. From there you can find out more about the product, see what other people are saying about it, and buy a bottle for yourself!